Here are a few Jenkins Interview Questions for you! 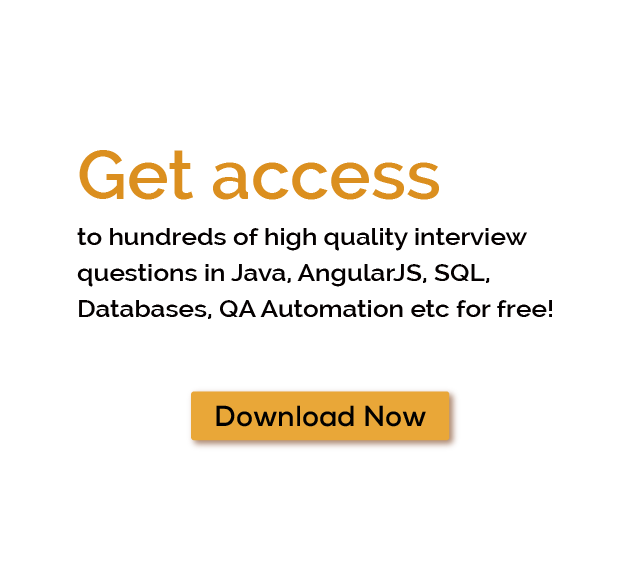 Download more High Quality Jenkins Interview Questions! Jenkins is a Continuous Integration (CI) server that provide Continuous Integration services for application development. Jenkins test and compile your code and if it finds everything is good then it allows to deploy the code. It is also beneficial in debugging and error fixing. It is written in Java. It is an open source means you can download and install on your PC without any cost. Let’s discuss some new concept in this Jenkins tutorial. What is Continuous Integration Tools? Before we go dipper in Jenkins and know its features, let’s discuss CI. Let’s imagine that software is ready and waiting for deployment on a server for testing. At first, a developer deploys the source code on the main repository. A Jenkins server checks the repository at regular intervals for changes. After the deployment, a Jenkins server checks the source code repo and detect the changes. Jenkins again compile and test the source code to find bugs and errors and then start again for the new build. If the build is successful then Jenkins ready to deploy this build on the test server and if Jenkins getting an error in build, it will inform about this to the mentioned team. You can also configure the script known as pipeline to create a new build. This action will complete in several steps. After the successful testing Jenkins generate a feedback on code. If the new build is error-free and artifacts is valid, then Jenkins notify the developers about the successful build. Jenkins continuously check the main repository for changes on different intervals and provide update to developers about it. Before the Jenkins Continuous Integration, the process of a code testing is similar but Jenkins provide more flexibility. Let’s assume a developer complete the source code build and ready to deploy it on the test server but this process has many flaws. In this process, you have to wait for the test result until the software is not completed. There is 100% possibility that your source code gives an error. Sometimes it may give multiple errors. Now a developer again check the whole project and solve each and every bug. This process increases the development time and a software cannot deliver on time. A software quality may go down because many time a developer upload, run and execute and solve the issues. This process was manual which increases the risk. With the above steps, software delivery process becomes slow and quality of software also went down. These processes increase the chances of dissatisfaction. With the Jenkins, a developer can continuously build and test source code. Jenkins is the leading open-source automation server. It contains around 1400 plugins that support in the automation and all type of development task. Easy to install and doesn’t require any additional components. You can easily extend and modify it. It can be configured as per the requirements of continuous integration and continuous delivery. It is platform independent. Jenkins is available for various types of operating systems such as Windows, Linus etc. It deploys a source code in an easy way and also generates a complete test report. It uses rich set of plugins. Different types of plugins make it very flexible. Plugins allow Jenkins for building, deploying and automating on different types of operating systems. Jenkins provides easy deployment of source code on the main repository After that Jenkins build the error and bug report because Jenkins detect the errors at one time. So developer doesn’t waste much time on the large-scale project. Jenkins provides easy support because it is open source and a wide community use Jenkins Services. Jenkins provides the easy way to solve the issue. Because it detects the changes several times and notify developers about that so a developer can easily fix the problem. In Jenkins, most of the integration is automated that saves the time and money of the project. Jenkins Cucumber Plugin: - Cucumber is a tool that is used for testing. It was built on the concept of BDD framework. Where test is written in BDD (Behavior-driven-development) style. Jenkins provide an important plugin to integrate with Cucumber for execution. Cucumber framework contain lot of features just like other frameworks. Check out some followings. It supports various types of computer languages. It provides the reusability of code. It acts as a bridge that connect business to technical language. It allows writing a script without the knowledge of any code. Jenkins is very popular modern type automated testing tool that helps a developer to build, test and execute a code. It contains the rich set of plugins for testing. It reduces the software testing time and also save money. Some of the many Jenkins Interview Questions listed below will help you get an idea about what questions gets asked in such jobs related to Software Engineering & Tech. Get through the Jenkins Interview bar with our selected Jenkins Interview Questions for all Jenkins enthusiasts! For thousands of similar Jenkins Interview Questions login to our Website or download EduThrill. Experience the thrill of challenging people around the world on Jenkins Interview Questions!